Nanshy is another brand that doesn't compromise whatsoever neither on 100% cruelty-free nor on quality. All brushes are professional grade, high performing brushes that allow you to apply your makeup products with precision and ease. The soft, lush and anti-bacterial bristles are held by robust copper ferrules on top of ergonomic handles. Great quality makeup only allows you to enhance your natural beauty if you have the right tools to apply it and that's exactly what the Nanshy brushes do effectively and efficiently - be it mineral, liquid or cream makeup. 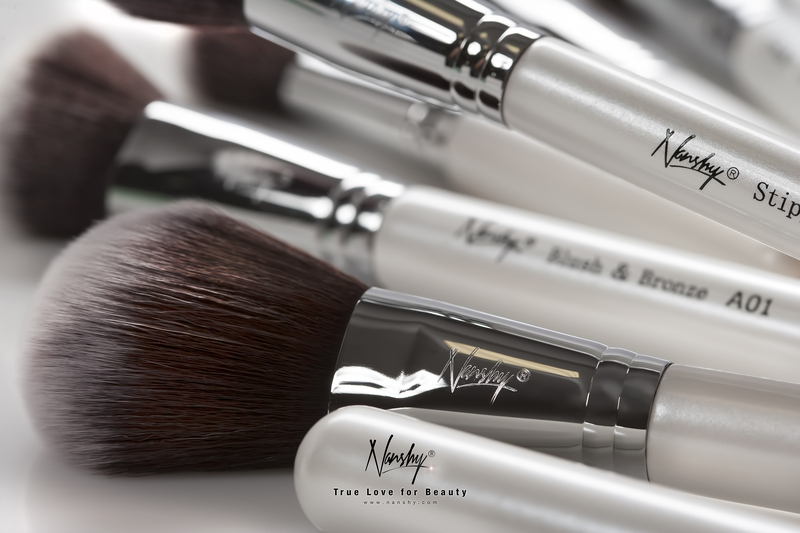 Nanshy brushes will allow you to blend perfectly and to buff with ease to achieve a flawless finish; they are simply easy to use, easy to care and easy to clean. The creators of these brushes have truly thought this through from designing all the way to manufacturing these beautiful brushes.